1924 (March): Postage Dues, the set of three values optd. with framed opt. 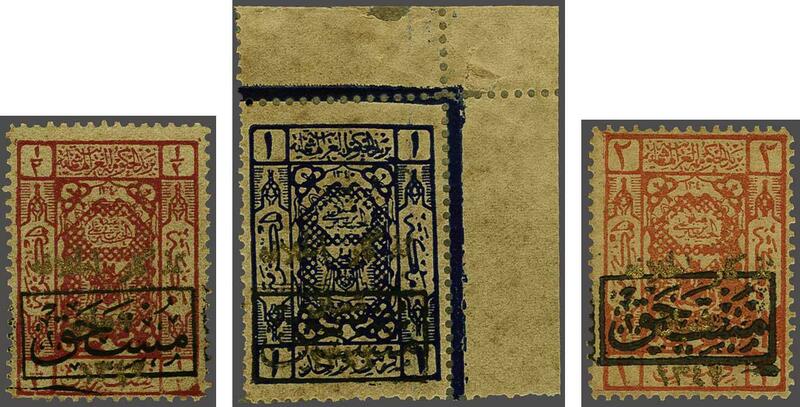 in black and by gold Caliphate overprint: ½ pi. deep rose, corner marginal 1 pi. deep blue and 2 pi. orange, all unused and somewhat aged due to the fire in the stores 'charred appearance on these is normal'. Fine and very rare, without gum. One of the rarest of all Postage Due sets worldwide. 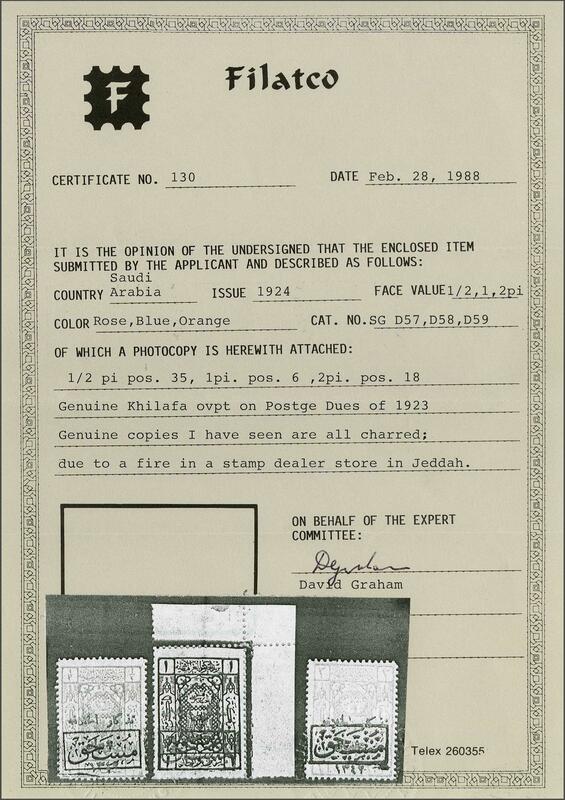 Signed David Graham. Cert. Filatco (1988) Gi = £ 11'250.